WSC Results - Training Results etc. Saturday March 22nd marked our second Friends and Family Invitational outing where the membership of the BC Bobsleigh and Skeleton Association invited special guests to give Skeleton a try. 33 sliders took part, most for their very first encounter with the sport of Skeleton. From Maple Leaf Start height athletes speeds ranged from about 90 km/h to just over 100 km/h. Lots of excitement, and some nervousness was evident as they took to the track. We hope everyone enjoyed this experience and we also hope to see many come back and slide with us again. Thanks for indulging - you were all amazing! Photos can be found on our Facebook page here. Over the weekend of March 15th/16th the BC Championship Bobsleigh and Skeleton Races were held at the Whistler Sliding Centre. With 30 sleds entered in the race - 26 skeletons and 4 bobsleds, the race was held over 3 days with official training/qualifying runs taking place on Friday evening and the race - a 4 heat, combined time race held over Saturday and Sunday with 2 heats on each day. Three start heights were in use for the races with Mens and Womens Skelton running from the Top Start along with Mens Bobsleigh. An Open Mixed Skeleton Race for consistency was deployed from Lower Mens Luge start. An Open Mixed Skeleton Race for Time from the Lower Ladies Luge Start as well as an Open Mixed Bobsleigh from Lower Ladies Luge as well. In Mixed Skeleton from Lower Mens, Matt Blair took First Place Gold, Nate Darrell was Second for Silver and Brock Hansen was Third for Bronze. And in the Mixed Skeleton Race from Lower Ladies - Ben Kroeker took First Place Gold, Alana Parno was Second for Silver and Ian MacKay won Third Place Bronze. For Bobsleigh from Lower Ladies, Jaimie Shankland and Michelle Pain took First Place Gold. 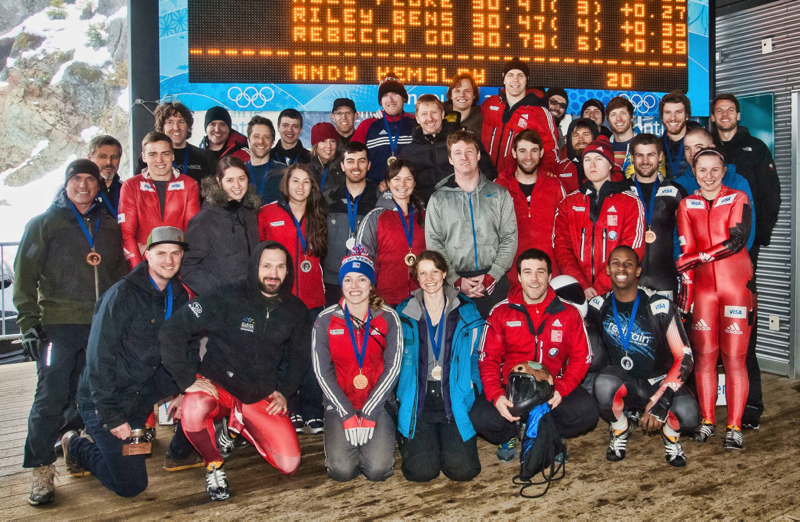 The second annual BC Bobsleigh and Skeleton Championships were held on March 13, 2011 at the Whistler Sliding Centre. There were 21 sleds entered in the race, including 16 skeleton sleds and five bobsleds. The skeleton races were divided into three categories: Men's Race, held from the skeleton Start; Women's Race, held from the skeleton start; and a co-ed novice race, held from the ladies luge start. The bobsleigh races were held in two categories: Two-man, held from bobsleigh start; and Two-man, held from ladies luge start. The third and final BCBSA Cup was held on February 20, 2011 at the Whistler Sliding Centre. Eight skeleton sleds participated in the race in three categories; a Men's race and a Women's race, both from the Skeleton start, as well as a co-ed novice race conducted from the Ladies' Luge start. Five two-man bobsleds were entered in the single Bobsleigh category, held from the Ladies' Luge start. The second BCBSA Cup was held on February 6, 2011 at the Whistler Sliding Centre. Eight skeleton sleds participated in the race in two categories; a Men's race from the Skeleton start, as well as a co-ed novice race conducted from the Ladies' Luge start. Three two-man bobsleds were entered in the single Bobsleigh category, held from the Skeleton start. 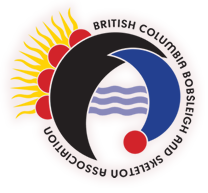 The first BCBSA Cup of the 2010-2011 competitive season was held on February 20, 2011 at the Whistler Sliding Centre. Six skeleton sleds participated in the race in two categories; an speed race from the Skeleton start, as well as a consistency race conducted from the Ladies' Luge start. Five two-man bobsleds were entered in the single Bobsleigh category determined by consistency over two-runs, held from the Ladies' Luge start.